The Grand Duchy of Luxembourg is slowly becoming the European hotbed of space startups with CubeRover SARL establishes operations there. The company plans to develop next generation rovers for planetary science missions at their new headquarters in Luxembourg City. CubeRover (a spinoff from Pittsburgh, Pennsylvania USA based Astrobotic Technology, Inc.) is one of three firms to announce plans to operate in the small country. Made in Space and Hydrosat are the other two firms to announce similar moves. The CubeRover platform was created as a low-cost lunar rover for companies, universities, and governments. It was designed as a joint venture of Astrobotic and Carnegie Mellon University. The initial design was part of a NASA technology contract based at Kennedy Space Center in Florida. “We are excited to launch CubeRover in the Grand Duchy and enable customers around the world to begin pursuing lunar science, exploration, and commerce with their own low-cost rovers. The Ministry of the Economy and the newly established Luxembourg Space Agency have been terrific partners and great believers in CubeRover’s vision of opening access to the lunar surface,” said Mike Provenzano, President of CubeRover in a release. The company plans for their new location to be a one-stop shop for customers to create planetary surface exploration programs. If everything goes as it is envisioned CubeRover will design, manufacture, and assemble mobile planetary systems all within their headquarters. 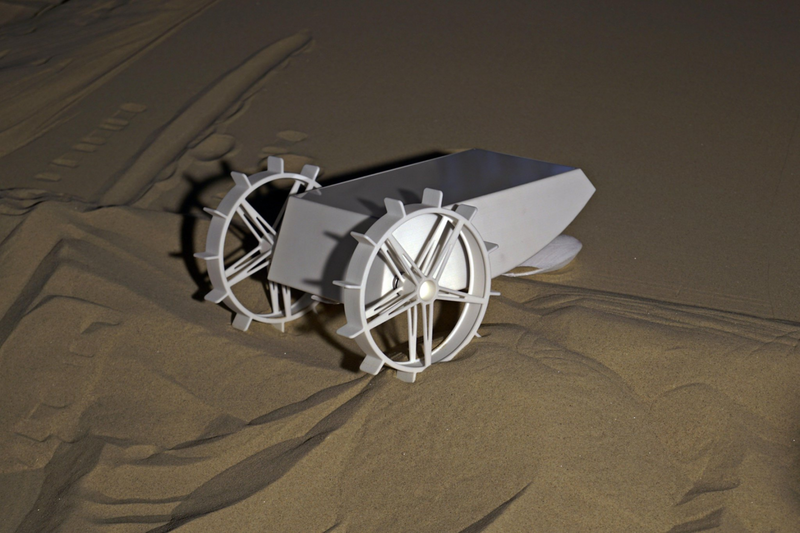 CubeRover is built around the concept of developing small, mid-size, and large rovers to support the requirements of their various customers. Each rover can be customized depending on a client’s requirements – everything from mineral prospecting, geological investigations, and in-situ resource utilization can be effectively developed. CubeRovers are currently available as Earth-based testing kits with lunar mission versions coming soon. Astrobotic, CubeRover’s parent company, is certain this is the right move. “The CubeRover is a perfect complement to Astrobotic’s lunar delivery service. As the market leader in commercial lunar activity, we developed CubeRover to respond to customer feedback for a low-cost mobile rover. We are thrilled to partner with the Luxembourg Ministry of the Economy to spin out the CubeRover platform as its own enterprise,” John Thornton, CEO of Astrobotic said. The LuxImpulse initiative, a government group working to develop space activities within the country, will provide CubeRover with the necessary resources, relationships, and support it needs to grow and flourish into a thriving organization. “The Luxembourg community is buzzing with talent and creativity for innovative space technology. We are excited to continue forging relationships with universities and businesses in this environment as we chart our course to the Moon and beyond,” Provenzano said.